Ethicon Physiomesh is “not safe”according to lawsuit. John Guerra, from Torrance California claims that the Ethicon Physiomesh patch used in his hernia repair causes severe health risks and complications. According to Guerra, he developed a chronic seroma and required many additional surgeries. Ethicon Physiomesh is “not safe”according to lawsuit. Ethicon Hernia mesh linked to adhesions, perforation, infection and the need for removal surgery. Man claims that Ethicon hernia mesh adhesions injuries were due to the plastic product. Charles Racine from Delaware recently filed a product liability lawsuit because of injuries from the Ethicon Physiomesh that was used during his ventral hernia repair. Ethicon Hernia mesh adhesions lawsuits. Ethicon Hernia mesh linked to adhesions, perforation, infection and the need for removal surgery. Racine filed his claim against Johnson and Johnson and its unit, Ethicon in Maryland federal court. According to Racine, he developed small bowel adhesions and had to have the hernia mesh surgically removed from his body. 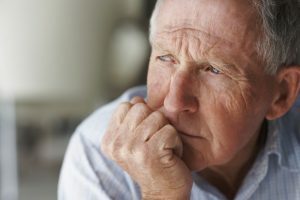 Recently, a Georgia Ethicon Physiomesh hernia failure lawsuit was filed by Connie Franklin, in the U.S. District Court for the Middle District of Georgia. According to Franklin, Johnson & Johnson (J&J), the world largest pharmaceutical and medical device maker and Ethicon its subsidiary, sold a defectively designed and unreasonably dangerous hernia repair device. According to the details in a Pennsylvania Atrium Mesh Injury Lawsuit, Leonard Bartosiewicz, from Pennsylvania recently filed a product liability lawsuit against Atrium Medical Corp over its line of Atrium C-Qur hernia mesh. Atrium Medical Hernia mesh under fire over its C-Qur line of hernia mesh, linked to infections, bowel lacerations and the need for emergency surgery according to lawsuit allegations. Bartosiewicz claims that he was faced with serious complications from the Atrium C-Qur hernia mesh with bacterial infection when the patch cut into his bowels. Bartosiewicz had to undergo emergency surgery to remove the allegedly defective surgical mesh, repeat surgery to re-attach his bowels and long term antibiotic treatment. Atrium C-Qur hernia mesh lawsuit update. As Atrium Medical, the company that manufactures the Atrium C-Qur hernia mesh comes under fire over its products, comes news that these product liability lawsuits are consolidated in New Hampshire for pre-trial proceedings. Atrium C-Qur Mesh hernia mesh lawsuits claim repair patch injuries, according to allegations in many personal injury and product liability lawsuits. 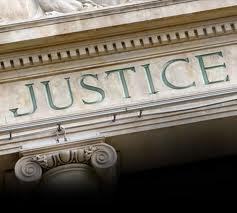 There are several Atrium C-Qur hernia mesh lawsuits filed in federal courts nationwide. Atrium C-Qur hernia mesh lawsuits claim repair devices are linked to abdominal injuries, infections and allergic reactions. In a recently filed lawsuit in the U.S. District Court for the Western District of Kentucky, Kent Simmons alleges that he developed severe abdominal pain and mesh exposure after an Atrium C-Qur patch was implanted for hernia repair. 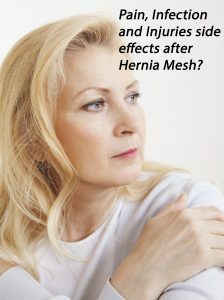 According to Simmons, the hernia mesh product was defectively designed and unreasonably dangerous. Simmons underwent hernia surgery in October 2015, and then he needed further surgery to remove the Atrium C-Qur hernia mesh, after it damaged his abdominal wall.